Is this another move to wipe out the small guesthouse operators? 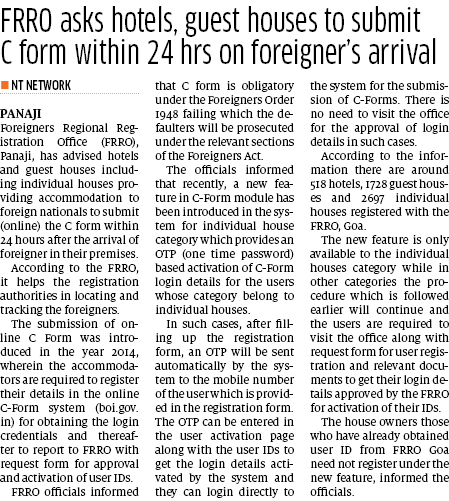 Yes the C form is a must for security purposes and the guest houses somehow or the other abide by these rules . The guest houses will comply but does the police department do its part?